During the clashes that took place in front of the National Assembly in Paris over the weekend between police and Yellow Vests, a protester lost his hand. Tensions rose a notch in Paris on Saturday, February 9 on the occasion of Act XIII of the protest movement. But, interviewed by BFMTV, a witness of the scene explained: “When the cops wanted to disperse people, he received a grenade at the level of his calf. He wanted to get hold of it so it would not injure his leg but it exploded when he touched it. Shortly after protesters tried to force a fence protecting the National Assembly, the police fired the grenade at them, trying to stop the projectiles against the police. According to a direct witness, Cyprien Royer, the injury was caused by the explosion of a grenade fired by the police. Royer filmed the end of the scene. AFP reported that the seriously wounded man was evacuated by firefighters with a bandage at the end of the forearm. Royer believes the victim was a photographer. In the early afternoon, the police headquarters confirmed to AFP that a “protester with a hand wound” had been taken care of by firefighters, but would give no further details. This wounded protester comes on top of the dozens of serious injuries that have been registered since the beginning of the movement – protesters who have been wounded or maimed for life. While the Parisian procession went in the direction of the Senate, some acts of vandalism were committed: fire was set to garbage, and equipment stolen in order to be launched at the police force. In addition, a police officer received a violent kick in the face on the Avenue des Champs-Elysées. Several vehicles were burned on rue de Vaugirard in Paris, and a Vigipirate mission car [anti-terrorism vehicle] was also set on fire in the Champ de Mars. “The soldiers of the Sentinel [anti-terror] mission protect our compatriots every day from the terrorist risk. These attacks are intolerable. Everything will be done to ensure that the perpetrators are apprehended and judged,” said Interior Minister Christophe Castaner. The Minister of the Interior was one of the first to go on Twitter to condemn the arson attack on a vehicle of the Vigipirate mission. 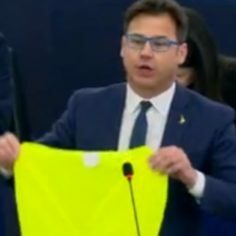 Sadly, Castaner completely ignored the serious injury that blew off the hand of a protester. The vehicle was set on fire near the Eiffel Tower. 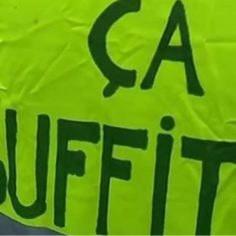 Castaner denounced the act as “intolerable”, riling against these “attacks” with “indignation” and “disgust”. Many Twitter users criticised Castaner, with some even posting a screenshot showing the shreds at the end of the wounded protester’s arm labeled “no comment”. Others preferred to communicate their dissatisfaction in writing. 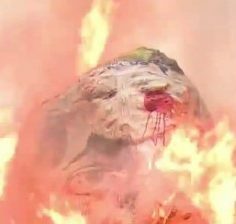 “While we see horrible images of a hand torn off, you hide behind the image of a Kangoo burning,” one noted. “Vehicles can be replaced, hands and eyes cannot be replaced,” said another. “Your selective indignation is like every one of your statements: pitiful. When you are not able to bring reforms to restore social peace, you do this,” he continued. 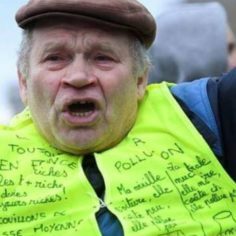 On January 28, Emmanuel Macron was accused of having, in a speech in Cairo, ignored the serious injuries that have been recorded since the beginning of the Yellow Vest movement. The Head of State instead paid tribute to the law enforcement and mentioned the deaths on the sidelines only. 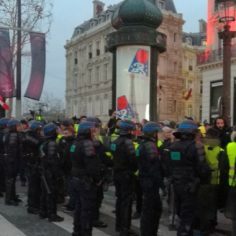 Several dozens of Yellow Vests gathered on the esplanade of Trocadero where the tension remained lively until around 17:30. 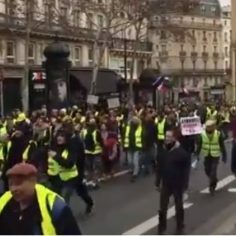 While 4 000 people marched in Paris, and 51 400 demonstrators throughout France, according to the Ministry of Interior, 36 people were arrested in Paris, and 26 were held in police custody. There were actually 240 000 protesters, according to the French Police union. Tensions also erupted in Bordeaux and Toulouse. The police in Lyon threw tear gas into the entrance of the metro, injuring several civilians, including a baby, the author of a video widely available on the internet, reported. 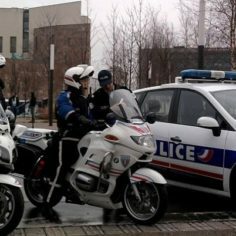 At the entrance to the Lyon metro, according to a video shared on social networks, posted on the Twitter account “La Plume Libre” showed several civilians without Yellow Vests suffocating and coughing near the metro. Among them is a toddler sitting in a stroller who is also crying and visibly struggling to breathe. A street medic wearing a helmet and a mask had to treat the child who continues to scream in agony, waving his little hands. Then, the author of the video turns the camera and shows other kneeling doctors treating one or more wounded lying on the ground in front of the stairs leading to the metro. 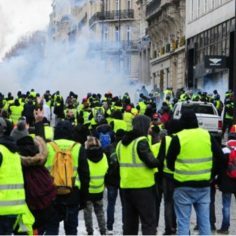 According to AFP, the security forces tried several times to prevent the procession of demonstrators from entering the shopping area in the center Lyon using tear gas grenades. Other clashes occurred when protesters approached the prefecture and then attempted to return to the city center.